Not only is The Vintage Twin once again popping up at 355A Bowery tomorrow through Wednesday, but next month the space will get a titillating new tenant: Black Boy Place, the Parisian street-wear brand responsible for Jay-Z’s notorious “Tom Ford” football jerz, will make its NYC brick-and-mortar debut there from August 4 to 18. 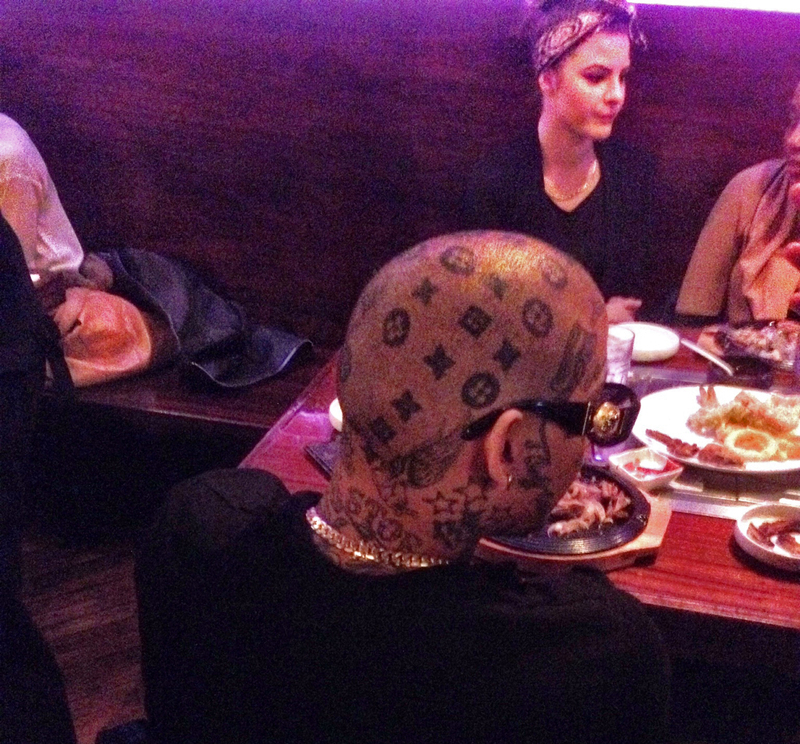 Is This French Rapper With a Louis Vuitton Head Tattoo the World’s Most Ridiculous Man? Can we talk about Swagg Man for a momo? Don’t worry, we didn’t know who Swagg Man was either until we saw a blinged-out mofo with a Louis Vuitton head tattoo dining with an entourage at Han Joo on St. Marks Place. After sneaking the photo you see here, we googled “Louis Vuitton head tattoo” and found out he’s a Paris-based Brazilian-Tunisian rapper who claims to be a millionaire, rides a Lambo and a Bentley, wears Versace but spells it Versacey, and has “Every Day Is My Birthday” etched across his forehead.